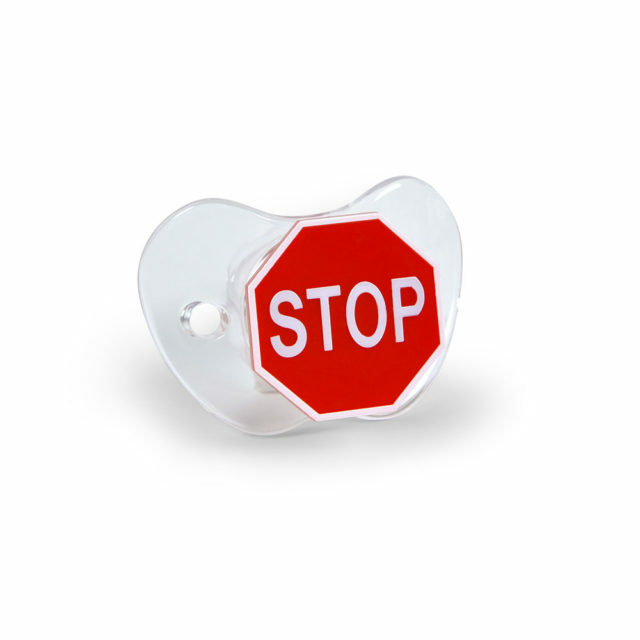 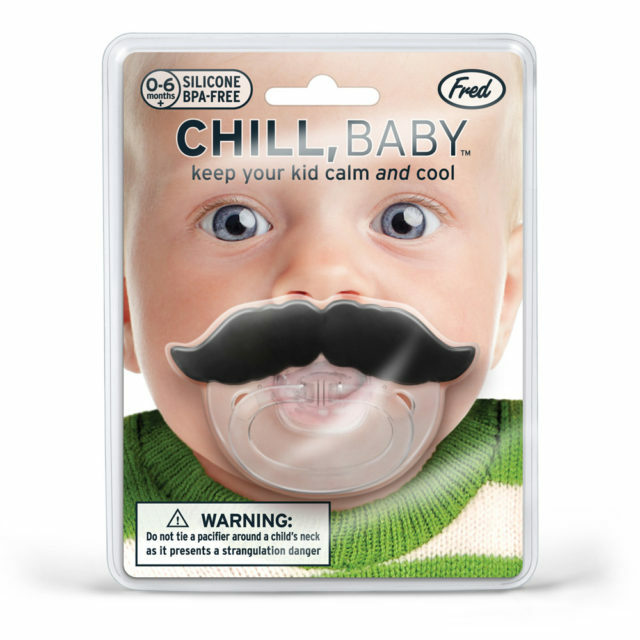 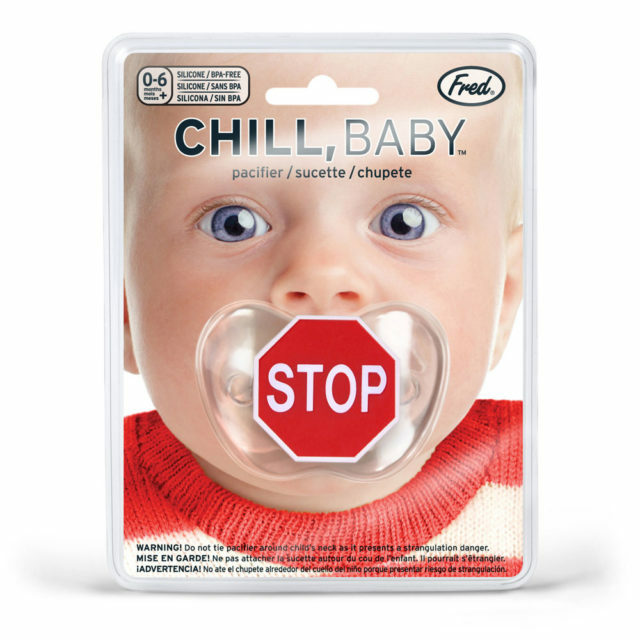 Fred’s CHILL, BABY pacifier has a traditional traffic sign motif that tells baby when it’s time to STOP. 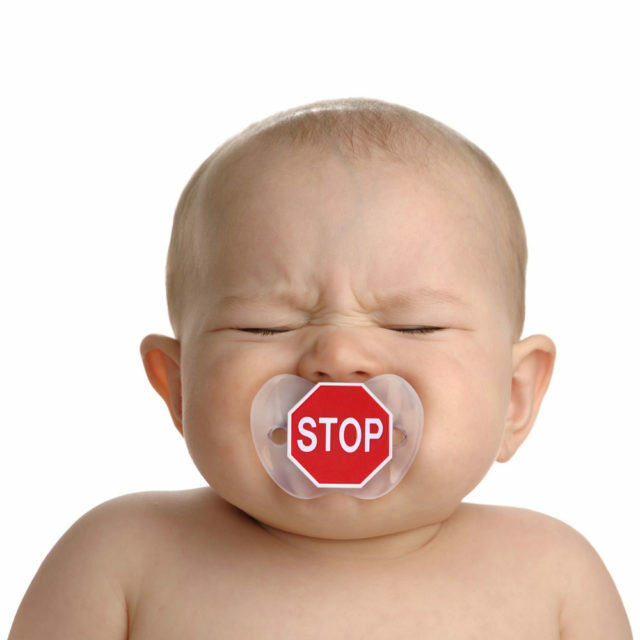 Remember kid, it’s the law. 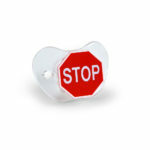 PVC- and BPA-free and meets all child safety standards.